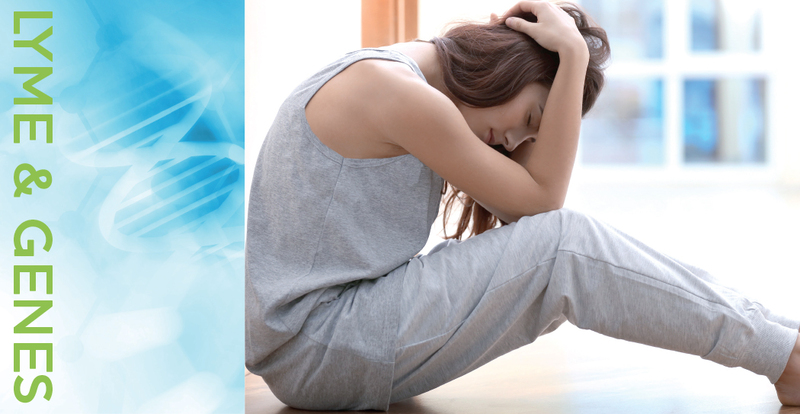 Lyme Disease - Are your genes making you ill? Monday April 24th 2017, Doctor of Naturopathy, ROBERT MILLER, specializing in the field of genetic-specific nutrition, will present some ground-breaking research related to Lyme disease and why the some patients remain ill for years. The seminar is open for professionals working in the health sector, patients and others with interest in the field. The seminar is free of charge and takes place at Tannlegehøyskolen, Store Auditorium, Geitmyrsveien 69, 0455 Oslo, Norway. One of the confusing situations with Lyme Disease, is that some people respond quickly to treatment, while others cannot tolerate the treatment, or continue to have less than optimal outcomes, In this talk, Bob Miller, CTN, a traditional naturopath, will explore why genetic conditions may be a contributing factors to poor detoxification pathways and lowered immunity. He will be presenting the information that was discovered by the NutriGenetic Research Institute’s two studies on the genetic patterns of those with Chronic Lyme, and how nutritional interventions, offering compensating mechanisms, may be supportive of conventional treatment. If the data is ready, he will share preliminary information from Phase III that is currently being prepared. 1.Iron Dysregulation findings that were found to be significantly higher in the Lyme study, and how this creates Hydroxyl radicals, and then we will discuss nutritional interventions that offers support to these genetic imbalances. 3.If time permits and data is prepared, a brief introduction to Phase III, that is analyzing additional pathways in Glutamate and Glutathione production and utilization.